Anna Willman has been a certified Focusing Trainer since 1982. She has a Master’s degree in International Studies from Claremont Graduate School and a Masters in Comparative Politics from Columbia University. 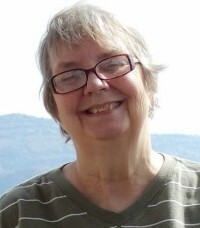 She was a Fulbright Scholar in Zagreb, Yugoslavia, in 1971 and 1972. She has served as Chair of the Oregon State Commission for Women, President of Oregon Women Work!, Chair of the Douglas County Gender Equity Team, President of the League of Women Voters of Umpqua Valley, and board member for Project Literacy. She retired in 2008 after fourteen years as director of the Confidence Clinic, a Focusing-oriented community wellness program for women. Since retirement she has written extensively about the program’s history, its philosophy and practice, and its outcomes. She has also published five novels, one of which is specifically about Focusing-oriented Therapy.